So, you’ve finally made the decision to propose to your girlfriend. Heartiest congratulations! Here on starts the journey that will lead your beloved and you to that special day, the wedding. But before you choose the wedding venue, the guests to invite (and which relatives to ignore), apply for BTO etc., she got to say ‘Yes!’ And for that, you got to propose. Now you’ll start to look for engagement ring budget tips. This reminds me of a story. I remember going to a wedding dinner and there was this activity where the groom needed to say “I Love You” in different languages. And the Singapore way of saying I love you is “Ai BTO Mai?” – asking her if she wants to apply for an apartment together. The proposal is the starting step to this beautiful union of marriage. As you may well know, marriages, especially in Singapore, are expensive affairs. As such, one might want to save as much as possible on as many things as on possibly can. Some want it extravagant, some want it simple and intimate. No matter how you wish to propose, a staple in all proposals is the engagement ring. 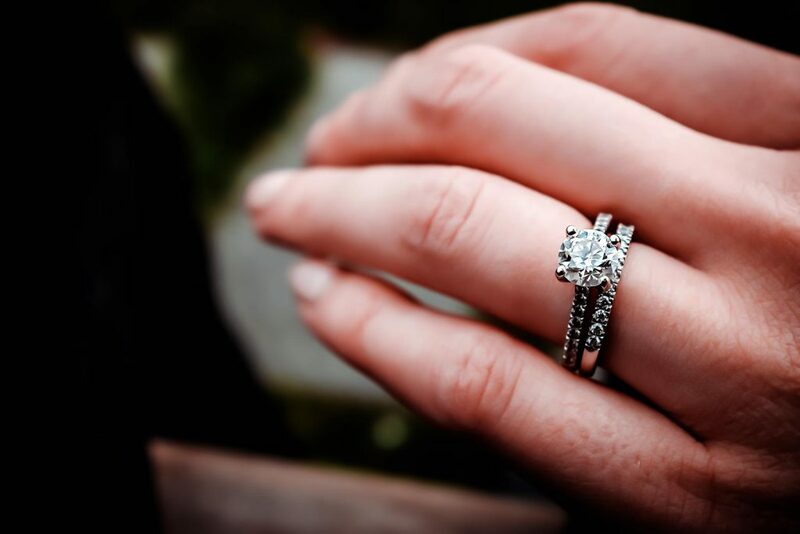 There is a bevy of choices for all kinds of budgets but let us find out some of the engagement ring budget tips that will help you save money. Roughly 75% of all diamonds that are sold are round. Owing to this popularity and as well as the way they are cut, round diamonds usually cost more than other shapes. To put this into perspective, if you choose any other shape other than round, you might save up to 40% on a diamond of the same quality. Popular alternatives to the round shape diamonds are square shapes such as the princess or the cushion cut which are distinctive and striking. If harsh corners of the princess cut put you off, you might even consider an oval gem. 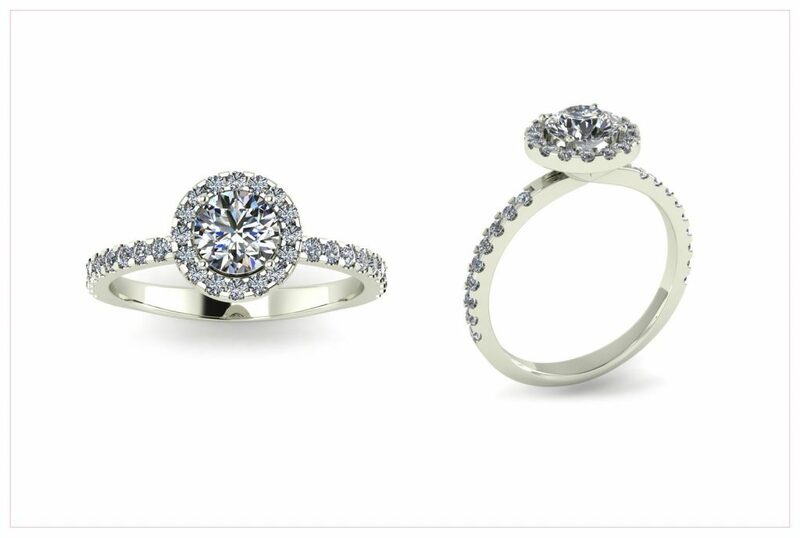 A halo or a prong setting is highly recommended if you decide to go for an oval gem. 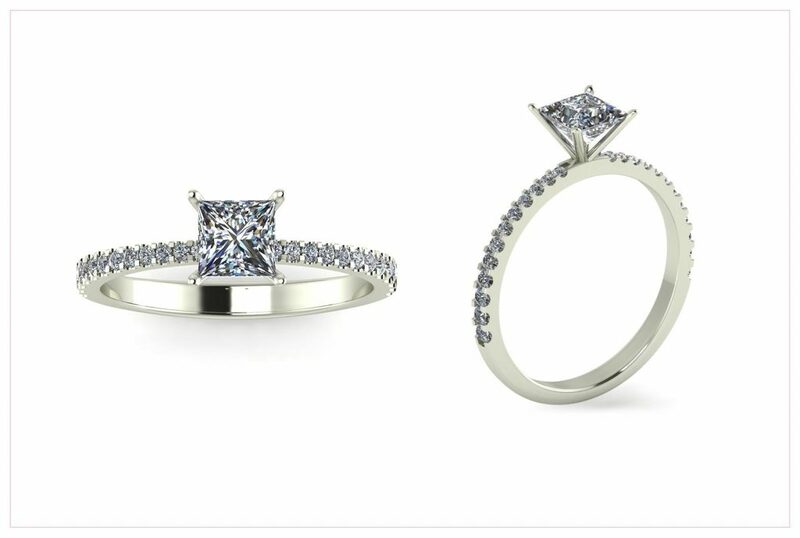 White gold and platinum are both popular choices for engagement rings, probably for their classic and clean looks. Though to the untrained eyes both metals look identical, platinum usually costs about 50% more than white gold. This is because platinum is rarer and mined much less than gold. 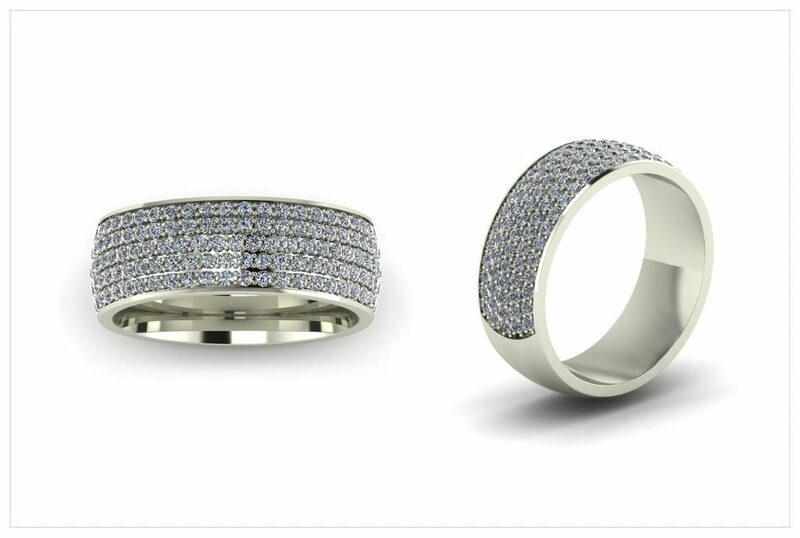 While it is true platinum is more durable, white gold is more cost-efficient and is durable enough for everyday wear. However, it might also be important to note that platinum is a hypoallergenic and pure metal. If your girlfriend has an allergy to certain alloys or metals, you might need to go with a platinum ring. This is because platinum is 90-99% pure while 14K white gold is only 58.33% pure gold. Contemporary designs like the one featured above are gaining popularity over the last several years. They cost significantly lesser than rings with a large center gem but still offer a sense of elegance and grace of diamonds. One popular design choice in this aspect is the Pavé (pronounced pa-vay) setting. This is where the gems are held together by little beads and they virtually disappear into the background, providing the illusion of a continuous strip of diamonds. Prongs on a Pavé setting are tiny and as such, they are not as prone to be bent, worn-off or broken off as easily as larger, standard prongs. As a result, this setting is excellent for day-to-day wear. One industry secret that not many consumers make use of is avoiding popular diamond sizes. Instead of going for those sweet sizes such as 1 or 2 carats, consider getting a size smaller, perhaps a 0.9 or 1.8. They might not differ that much from their heavier counterparts but you can expect potential savings of up to 20%! As discussed in our previous article about diamond carats, diamond prices increase exponentially as the carat weight increases. As such, a ring with the halo setting might be useful in reducing costs as a smaller gem with diamonds encircling it gives the illusion of a larger gem. The halo setting is immensely popular with a round of princess-cut center stones but they are also used in oval gems, emerald-cut and even pear and marquise diamonds. This effect is also true for metal-smithing techniques such as milgrain and filigree. Sapphires are also popular choices for engagement rings, coming in second only to diamonds. Ironically, sapphires are in fact rarer than diamonds. Sapphires are also extremely durable, scoring a 9 on the Moh’s scale of hardness. They cost significantly lesser than diamonds as well which means greater savings for you or you can just opt to go for a bigger sapphire stone instead. 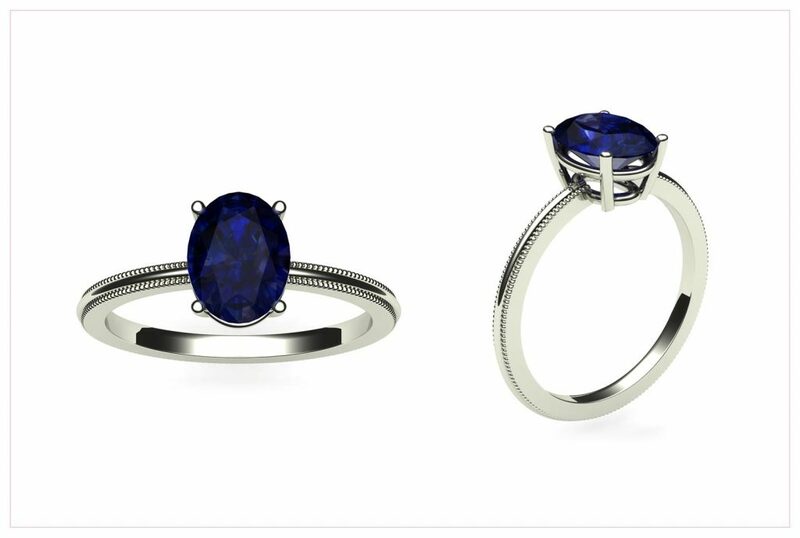 Sapphires come in many colours but the most popular choice is the deep blue. Smaller diamonds next to the sapphire complements the gem well. 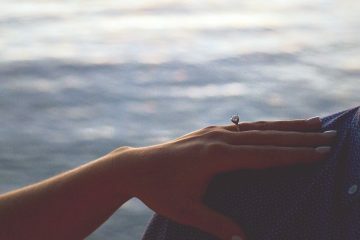 This might not work all the time but if your fiancé and you are going to be researching and purchasing the ring together, you might want to consider getting the wedding band together with the engagement ring. This will likely lower the cost of the engagement ring and bring you savings. To make it even more affordable, one might consider getting his wedding band as well to allow even higher savings. Valentine ’s Day is around the corner and we all know how rose prices are jacked up during this period. It’s not exactly the same for fine jewellery but the end effect is the same. Though retailers typically do not raise prices for the holiday season, diamonds tend to sell better. In which case, the better priced, bargain gems are often snapped up first. If you can afford to wait, skipping the holiday season might make finding affordable gems a bit easier. As you can see, there are several ways you can save on your engagement ring. 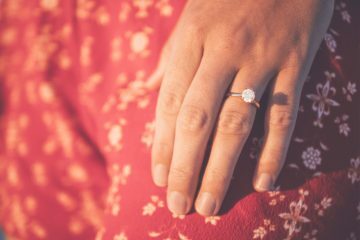 From going for a princess cut diamond to going for sapphires instead of diamonds, there are a few ways one might save on an engagement ring to make it more affordable. A trusted, experienced jeweller can offer you great engagement ring budget tips. Our jewellers at Draco Diamonds are well experienced and can offer you valuable, obligation-free advice. Please feel free to contact us today! What Does Diamond Fluorescence Really Mean? 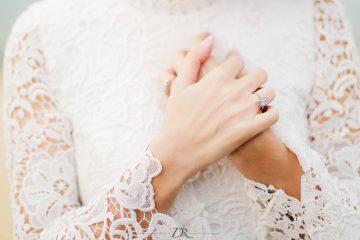 Ring Finger: Which Hand Does the Engagement Ring and Wedding Band Go On? Copyright © Draco Diamonds, 2019.